Ontario is home to many amazing lesbian clubs and LGBT clubs that offer endless entertainment and action. Get ready to experience the thrilling nightlife with pridehamilton.ca in some of the most gay-friendly areas of Ontario and learn of some of the hottest bars and clubs that make up the Toronto gay scene and the nightlife of other areas in Ontario. From the Gay Club Hamilton to opt rated bars and clubs, members of the LGBT community will always find an amazing way to enjoy an evening out, whether they are looking to relax and enjoy a casual evening or if they are looking to dance the night away. There is something for everyone to enjoy. The majority of these cater to LGBT patrons and not exclusive to gays or lesbians. Hamilton is a thriving LGBT community, but it has a lack of bars and clubs for these members. In 2014, the main nightclub, Shine Nightclub, closed and it was one of the top bars that was specifically for the gay community. However, a new bar has been opened in 2016 that is located right were Shine used to be, and the club caters to gay and lesbian visitors It is a mixed club as well, so anyone is welcome. For many years, Hamilton has lacked a space for drag shows, and this new club is offering a place for local drag queens to perform. 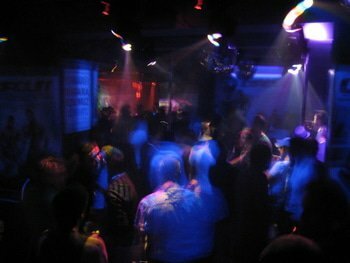 In the past a number of gay clubs in Hamilton have closed, forcing residents to visit other cities in Ontario to enjoy the nightlife. With this newest club, the LGBT community of Hamilton can now enjoy local action and enjoy a great night out to celebrate the Toronto Gay Pride Parade . While Toronto is the hub for many of the best gay bars and clubs in Ontario, there are other locations that will offer a unique and enjoyable experience. Buck Wild Bar is located in London and featured a relaxed atmosphere with live entertainment. There are also dart leagues, a pool, special drink prices, theme nights and more. In Ottawa, The Lookout Bar is a great pace to visit, offering a great restaurant during the day and a hopping LGBT club at night. This bar offers daily events and always has live entertainment being offered. This has become one of the top rated gay and lesbian bars in Ontario.